By 11:59 on December 31st, somewhere around 40,000 people will have died in car crashes in the U.S. this year. That should be a shocking number. If even 10% of those people had been killed in plane crashes, the country would be outraged. There would be investigations into airline safety, and memorials built to remember the 4,000 who died. We have become far too accustomed to traffic violence. Why do we accept “car accidents”, most of which are predictable and preventable, as one of the leading causes of death in the U.S.? Here’s why at Coluccio Law we do not use the term “accident”, rather we use the term “crash”. We see it all the time—but it rarely affects us directly. Part of the reason for that is “40,000 people” is an unimaginably high number. Some of us won’t meet 40,000 people in our entire lives. The odds are very good that you know at least one person who has been killed in a car crash, and probably more. This is Adriana Brown. 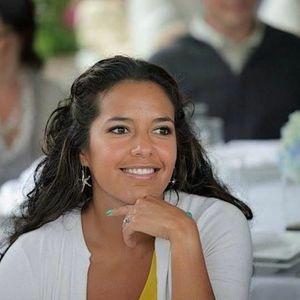 She was killed in a Seattle crosswalk. But most of the time, car crashes only affect us personally because of the resulting traffic jams. The news cycle moves faster than ever. 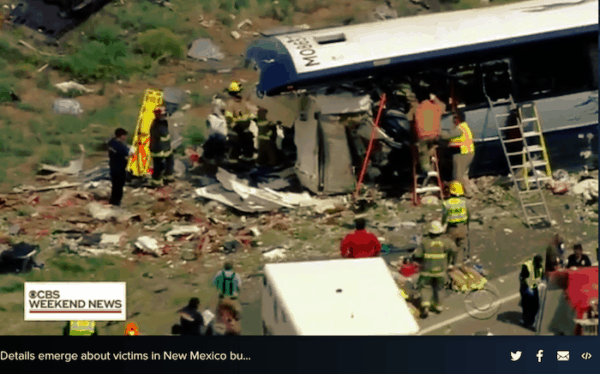 Remember when a semi-truck swerved across a median on a New Mexico highway and slammed into a Greyhound bus? 50 people were injured, at least 8 died from their injuries. That crash, which just happened in September, was so significant that the National Transportation Safety Board is investigating it. Yet, you probably have not noticed it beyond a headline scan. We live in a time when change is the only constant, and news is always accessible. Even when a particularly sad or gruesome crash with multiple deaths is covered by the media, it is rarely covered for long. We are trained to believe it’s just the cost of cars. That huge number makes the problem of traffic deaths seem insurmountable. It’s so high that we just think of it as the cost of doing business: you drive a car, you take a risk. Calling collisions “car accidents” contributes to the idea that fatal crashes are inevitable. “Accident” suggests that a car crash was a fated event, rather than the result of human negligence or error. 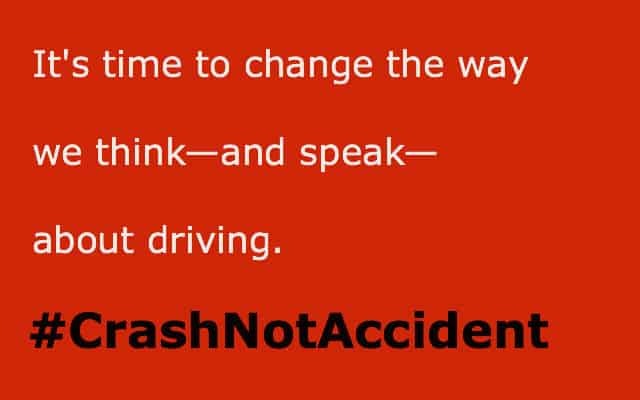 The fact is that most “car accidents” are not accidental: they are predictable and preventable. Over the last few decades, motor vehicles safety has improved. Street and road design are slowly improving. But we must end the cycle of acceptance. If you know someone who died suddenly because of a preventable car crash, call it a crash – because it wasn’t an accident. November 18, 2018 is the World Day of Remembrance for Road Traffic Victims.